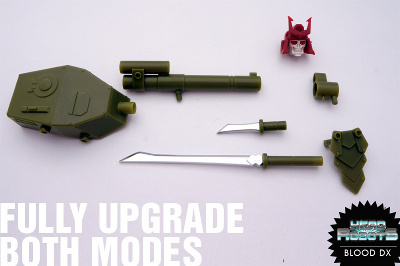 Blood DX is scaled to fit in the DX universe, the kit comes with parts to dramatically change both modes. Blood DX and his brother the larger size Blood have been released into the headrobot universe to challenge Hothead and Centurion. 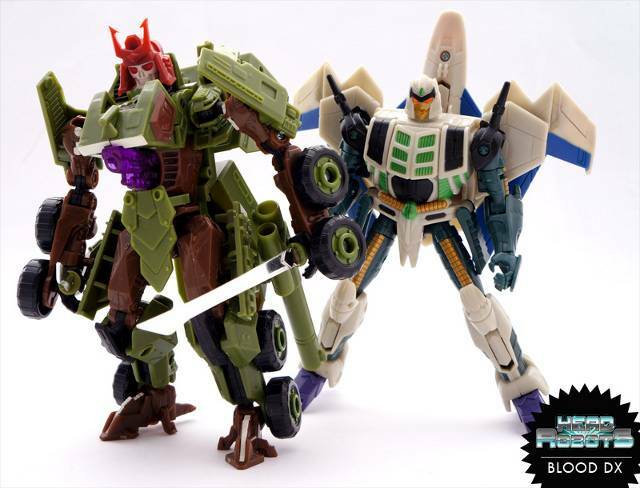 This is a nice little set to upgrade the design on Bludgeon to feel more like the angry Pretender he was. 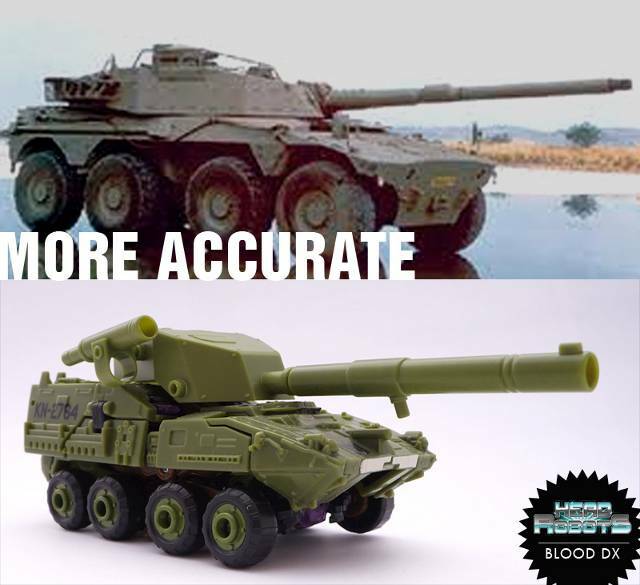 Though it looks nice, you'll notice immediately when in vehicle mode the the details of the armored transport are greater than the details of the add on kit. The head needs to hide in a storage space because it is much larger than the original. The turret connects to the small gun of the vehicle. It's a delicate fit that wants to pop if grabbed. 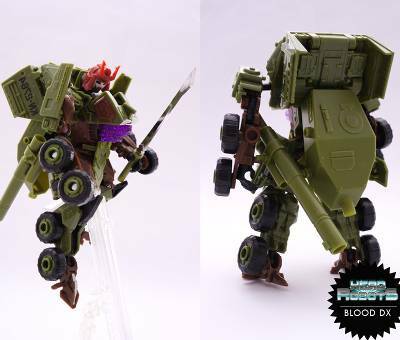 In robot mode, the turret and cannon stick together on Bludgeon's back. The plastic is thinner than the regular Hasbro plastic, making the connection delicate. Bump it the wrong way, it tends to fall off. The head wants to look down, simply floating on the ball socket. I chose to sit mine not as deep, allowing a greater range of motion. The helmet is the best for the plastic quality. The two faces are either skull or more of the non-pretender style shown in the comics . It can be swapped by pulling the helmet off his head. It is tight, so be ready to pull hard or find a pair of pliers to grip the head while you pull with your hand. The weapons are awesome with the silver plating. The large blade fits in both hands, giving off some lovely poses as shown. 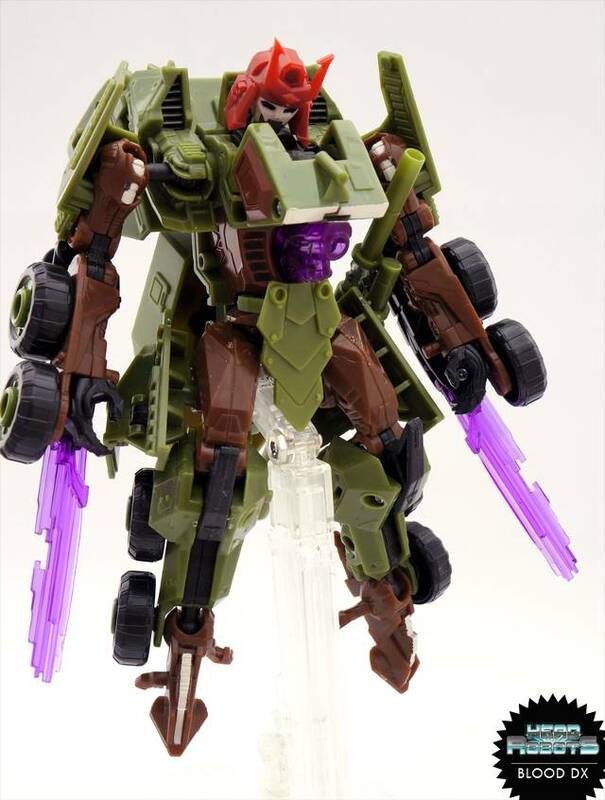 Bludgeon's old weapons clash with the new weapons, tending to pop off the turret when you try to pose them. I opted to not use them at all. The clip on skirt armor works, but again the detailing feels deficient versus the Hasbro work. 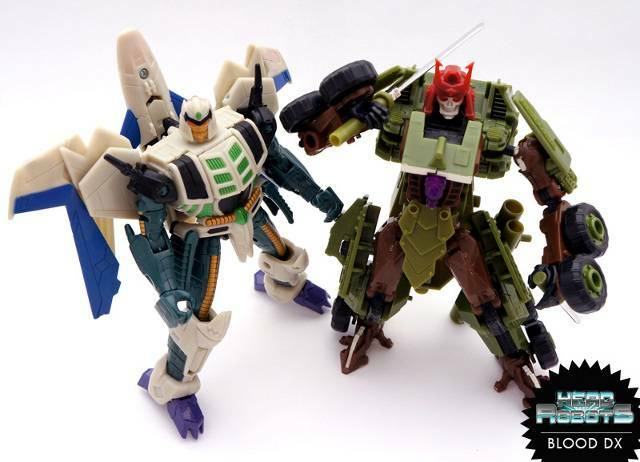 For the price, it's a nice kit to give Bludgeon a unique feel from the bulldog style head that was stock. Just be cautious of playing around too much. Mine is showing stress marks in the female connection points.